Happy Holidays! Hard to believe it’s December already. I guess that’s a good thing, as it means we’re that much closer to spring. 😉 I’ve never been much of a fan of Minnesota winters, though with global warming they’re not what they used to be. Such a lot is going on here! Where to start…. I can’t post the usual “fun ways we’ve learned and played lately” because a lot of it hasn’t been fun in the least, so here is just a bit of what’s been going on in our little corner of the world. Victoria has been dealing with yet another medical crisis. As her grandma put it last week, “Things just always happen to her, don’t they?”. First cancer, then sepsis, then a long series of strange ailments. Then, during the week of History Fest in October, one eye swelled up. It went down over the next couple of days and then the other eye swelled up. And up and up. She went to a local doctor who had no idea what it was and put her on a 5 day course of both antibiotics and steroids. It turns out that was a particularly terrible guess to make, as short term steroid doses like that tend to make things much worse, which they did. Her eye swelled to a terrifying size and we rushed her to a specialist in Mankato. She was diagnosed with an orbital pseudo-tumor (basically a swelling of the eye that causes pain and symptoms like a brain tumor but is not cancerous and not a true tumor that can spread) and put on high dose steroids for a longer time to see if it would control it. To make a long story short, it didn’t help enough, things got worse, and she ended up at the Mayo Clinic. 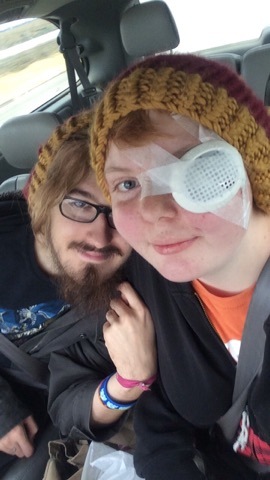 Her doctor there did surgery a few weeks ago and performed a biopsy of the area behind her eye. The biopsy revealed that the swelling is granulomatis and it could be related to any of a number of diseases or it could be idiopathic (just a random thing with no cause, which we highly doubt since she has had so many other strange things going on for the past few years). She has been seeing various specialists at the Mayo and going for tests. It has been very painful for her and pretty terrifying. In addition to the pain and vision problems caused by the pseudo-tumors (which are now affecting both eyes, though worse in one), the high dose steroids are causing all the standard weight gain and medical issues, so she is also stressed about that. The doctors are trying to wean her down off the steroids slowly since every time they lower the dose her eye swells to an alarming size but they can’t leave her on them. For now she is just tapering down and letting her eyes swell (and I have started giving her supplemental herbs and such to help, which seem to be helping when the steroids aren’t). There’s much more, but I have to make supper and still wanted to update quickly about the good things going on for Toria right now. Firstly, her boyfriend Gabe proposed to her during the solar eclipse in August and secondly…. they have a house! To say that it’s a fixer-upper is quite the understatement, but it’s a house! We have been searching for months for a house nearby that would be cheap enough that we could afford to buy it outright. We bought our own house for $2,000 cash 25 years ago and living mortgage-free is one of the reasons that we’ve been able to live on so little all of these years. Our town is so small that homes are inexpensive but we needed a REALLY cheap house to be able to afford it. The house is teeny tiny and in really rough shape, but it has good bones, so to speak. The roof is solid, it has a fairly new furnace and it’s on two lots. We are already talking gardens and fruit trees. You know our family! 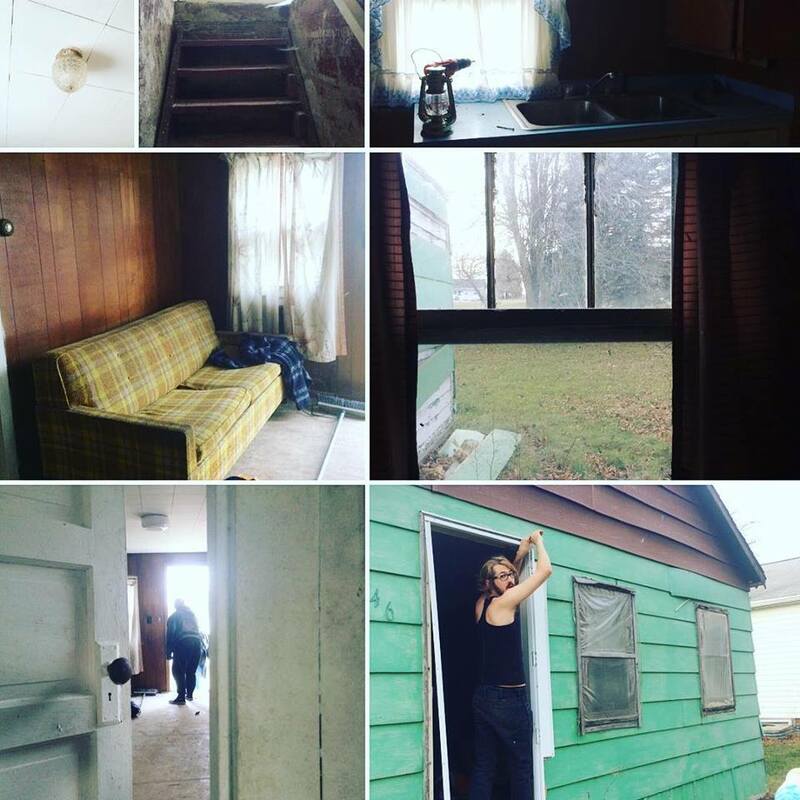 If you want to read more about the house or Toria’s health situation, I created a WeCare fundraiser to help them fix up the house and I’ve been posting pictures and updates there. Hopefully they’ll have power turned on next week and things will start turning around on the health front and more. 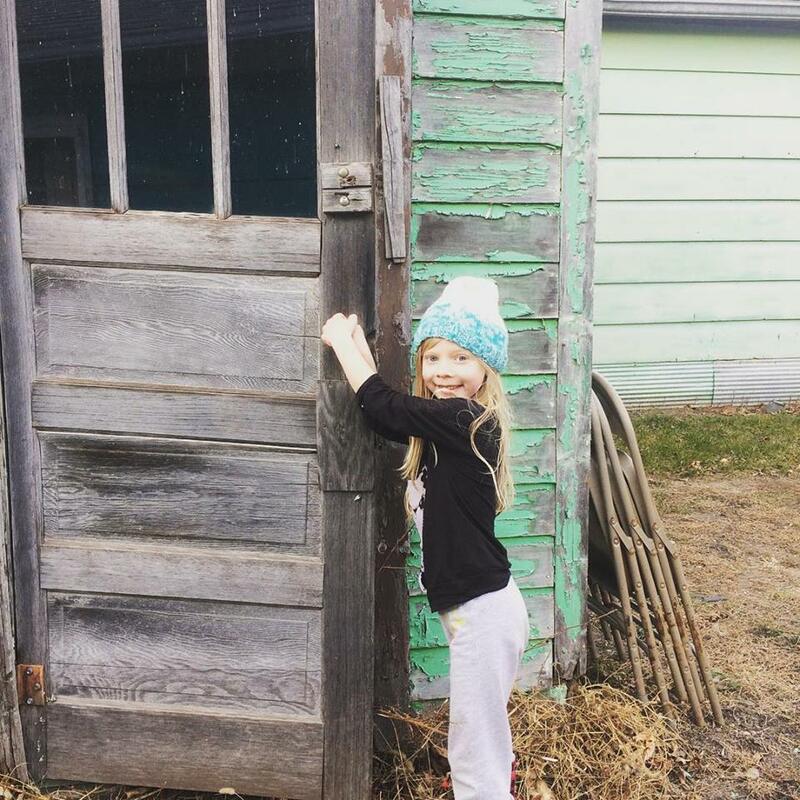 This entry was posted in challenges, Frugal living, homesteading, personal, Victoria by Alicia. Bookmark the permalink.